The goal of this guide is to help YOU find the best EDC (everyday carry) flashlight in 2018. EDC stands for ‘everyday carry’ (I’m sure you know that already), meaning it’s a flashlight that is easy to carry around with you on a daily basis. My personal favorite EDC flashlight is the J5 Tactical V1-PRO – what’s not to like? It’s a high-performance product that’s perfect for daily use. 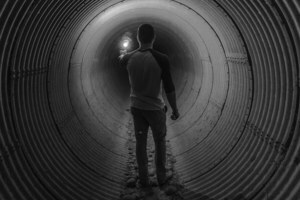 Not every flashlight is suitable for this purpose; some great products will be disqualified from this list because they are too big, or have other features that make them a poor choice for everyday carry. If you regularly find yourself in situations where you need a portable source of light – whether professionally or personally – owning a great EDC flashlight would be worth your investment. For optimal viewing, turn your phone or tablet to landscape (wide-view). If you are afraid of the dark or have trouble finding the light switch in a dark room, a flashlight is the answer to your problem. Or, if you lose your keys on your balcony or drop something under a desk, an everyday carry flashlight can come in handy in those kinds of situations. However, if you do not own one yet, you must definitely consider buying a handheld light for everyday use. 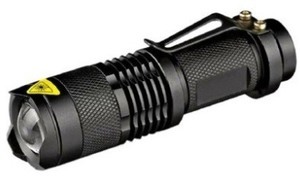 An everyday carry (EDC) flashlight is portable, which can be extremely useful for everyone. You can do a lot more with an EDC flashlight besides making shadow puppets on the wall. With this flashlight, you can see things in tight spaces and light your path when it is dark outside. Moreover, you can also use it to blind an attacker, in case you find yourself in any terrible situation. 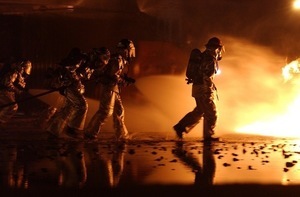 Although portable flashlights were first primarily used by emergency responders, law enforcement, and handymen, now they have become an essential part of the life of ordinary people. Moreover, it is better to be prepared, carrying a flashlight, instead of being getting caught in an awful situation unprepared. Today, you can buy an EDC flashlight in any shape or size that you want, catering to all your needs. Moreover, with the latest technological advancements, EDC lights use less power and are equipped with more features. This means that even a small flashlight can now provide a wide array of options to customers. Plus, they come in different materials and designs. Are you interested in looking at other options? See the top list here. There are a lot of EDC flashlights available in the market, which makes it quite difficult to buy the best one. Sometimes, this simple task can suddenly become overwhelming and confusing due to all the available options out there. However, with our buyer’s guide, now you can choose the best one without any hassles. When looking for one, there are several factors to consider before buying one. These include features like a manageable size depending on the preference, lumens, the durability of the material, a long-lasting LED bulb, shock and water resistance, rechargeable, etc. So, look through the product’s details and reviews until you get an idea of what you’re exactly looking for in a pocket light. It must fit your style and everyday tasks. So, let’s look at the everyday carry (EDC) flashlight features in detail. Portable flashlights come in different shapes and sizes. The size solely depends on the preferences of the buyer. If you want to use it at home, then a big sized EDC flashlight may suffice. But, if you need an on the go one, then it should be small in size. It is important to see what size is ideal for your daily needs. For instance, if you want a light that is quickly accessible to defend yourself, then go with a larger size, but one that is not too heavy. If you want to put the item in your shirt pocket, you can purchase a penlight with a clip. Read about how you can use an edc flashlight for self defense. As you search for the perfect one, first consider how you will carry it. Do you want to keep it in your pocket, in a purse, in a holster, or attach it to your belt? Or like most consumers, attach it to your keychain. EDC flashlights also come in the shape of pens and in larger sizes that go together with pocket clips. The size of an everyday carry flashlight also depends on the type of battery the electronic torch uses. Generally, these pocket torches use small batteries like those used in watches and big ones use larger batteries. So, let’s look at each type based on its size and length. Under 2 inches: Anything smaller than 2 inches are known as micro EDC flashlights. Under 3 inches: Anything smaller than 3 inches are known as mini EDC flashlights. Under 4 inches: Anything smaller than 4 inches are known as small EDC flashlights. Between 4 and 6 inches: Anything that are between 4 and 6 inches are known as medium EDC flashlights. 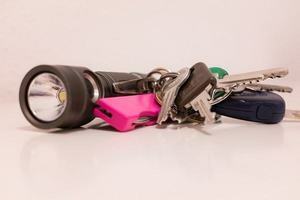 Keychain EDC flashlights come in two major forms. First, a flat single LED flashlights use button cell batteries, which are typically found in a wristwatch. The second type of keychain flashlight is equipped with a single AAA battery and comes with a keychain loop at its body end. Although flashlights with watch batteries are not very bright due to their less power output, they are extremely durable as well as portable. Different flashlights use different types of batteries. Not all batteries work the same. A high-quality battery means more brightness and runtime for your flashlight. Like the size of the flashlight, the size of its battery also varies. A few of the micro flashlights use batteries like those used in a watch. However, most of the flashlights use big batteries such as AAA, AA, CR2 and CR123A. Each type of battery that is used in an EDC flashlight has its own benefits. 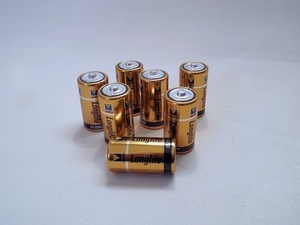 It is quite easy to find batteries in their standard size that are rechargeable. However, specialized batteries deliver higher performance. The type of battery depends on your preferences. You can choose to use rechargeable or non-rechargeable batteries. AA and AAA batteries are the most common types of batteries that are used. They have been around for many years and are quite reliable. AA and AAA batteries are based on the alkaline cell technology. These types of batteries are rechargeable and fully known as Eneloop Ni-MH AA and Eneloop Ni-MH AAA batteries. Eneloop Ni-MH AA offers low self-discharge with above average voltage under load. AA batteries are more durable than the previously mentioned types of batteries. Since AA batteries are rechargeable, you must ensure that you buy a good quality charger in order to recharge them efficiently. Moreover, these batteries are generally cheaper and more widely available as compared to new batteries. They are longer, but smaller in diameter. If you want non-rechargeable primary batteries then look to buy Lithium disposable batteries. However, you shouldn’t confuse thesLithium-ionium ion batteries, which are rechargeable. The Lithium disposable batteries deliver more power output and have a longer run time when compared to regular alkaline batteries. However, Lithium batteries are more expensive. CR123A is another kind of battery used in these types of lights. These types of batteries are small Lithium batteries. Unlike regular-sized batteries that deliver 1.2 to 1.7 volts of power, these batteries deliver 3 volts of power output. EDC flashlights, which are mainly designed to manage Lithium batteries, can light up its LED bulb to much higher lumens. However, these batteries are not rechargeable Lithium-ion batteries. Although the CR123A batteries have more power and energy storage, they are more expensive as opposed to alkaline batteries. Additionally, they are light in weight and have a long shelf life of 10 years. A flashlight must be durable. You want it to work when you need it, no matter the severity the situation. Moreover, if you choose to carry an EDC flashlight with you daily, you need to ensure that it has a strong build. This is why you should not purchase a cheap flashlight. Purchase an everyday carry flashlight that will work, even after putting it through a daily beating. Moreover, it should be reliable and ready to work for, no matter the severity of the situation. The durability depends on the quality of its materials. Moreover, it should be waterproof, shock resistant, and with a lens that is scratch-resistant as well as shatterproof. EDC flashlights are commonly made of anodized aluminum, the same material used to make tac lights. Everyday carry lights are particularly made of Type III hard anodized aluminum. Or, these flashlights are also made of stainless steel and titanium. However, both these materials are more expensive as compared to anodized aluminum. All three materials are very tough and strong, which means if you buy one made from one of these materials, then it would surely be durable. When it comes to titanium, it has the best ratio of weight to strength. When compared to steel, titanium is strong like steel, but is 45 % lighter. Also, when compared to aluminum, titanium is twice as strong compared to aluminum, but only 60 % heavier. 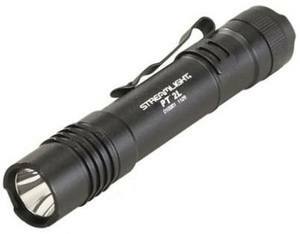 Although stainless steel flashlights are very strong, they are also very heavy. In this case, aluminum is a nice compromise among durability, cost, as well as weight. The flashlight that you buy must be shock resistant. The flashlight should meet the ANSI FL1 standards, which are the guidelines used to measure the product’s impact resistance. To measure how shock resistant the item is, we will need to calculate height in meters. The height refers to the height from at which you drop the flashlight onto the floor; and still work flawlessly, without breaking or cracking. 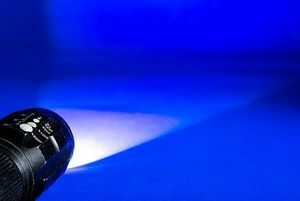 Moreover, being shock resistant also refers to the type of light emitter used in the flashlight. One other feature to look for in an everyday carry (EDC) flashlight is its waterproof rating. This rating is known as the IPX rating. You would see that most of the flashlights have this rating, which can vary among products. However, the most commonly IPX rating there is on EDC flashlights include IPX8, IPX7, and IPX4. The IPX4 rating means that the everyday carry item is splash resistant. If you live in an urban area and will mostly keep the flashlight in your pocket, then a flashlight with an IPX4 rating is good for you. However, you must not forget it in a place that is susceptible to getting wet. According to the IPX7 rating, a flashlight can be submerged in water up to 1 meter for half an hour. Also, if a flashlight has an IPX8 rating, then it can be submerged in water below 1 meter for any amount of time. Since LEDs are the most commonly used light bulbs in these items, most use LED bulbs. Moreover, LED (Light Emitting Diode) flashlights are very popular today, because they have a longer lifespan, are cheap as well as shock resistant as opposed to traditional EDC flashlights that are not shock resistant, and expensive. 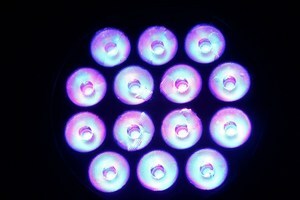 Moreover, LED lights offer better battery consumption, greater efficiency, and more brightness. However, some flashlights still use incandescent bulbs due to the color that is emitted and easy to replace feature. Let us compare the two types of bulbs, so that you can get an idea of what each type of bulb offers. Hence, LED bulbs are better than incandescent bulbs. But, then again, it depends on what suits you. One crucial thing to look for when buying one is to check the amount of light it emits. The amount of light you will need depends on your preference. In case of self-defense, you need to purchase one that provides a good amount of light. This will enable you to see everything surrounding you and allow you to blind an attacker. However, if you just want to get light in a dark alley or parking lot, then you can use one that emits less light. The power of light is based on three main factors. This includes lumens, beam distance, and candela. of these three factors, lumens are the most important factor. A lumen is the measurement unit that calculates the total amount of visible light that is generated by a light source. In simple words, it refers to the number of brightness. The more lumens an EDC flashlight produces, the brighter its beam is. According to ANSI standards, the energy or power of light that is emitted from an everyday flashlight is indicated by lumens. This means that a high lumen flashlight is more powerful with LED bulbs in combination with a quality battery. However, when you compare lumens to candela and beam distance, it is not a very useful measure to decide the overall performance of a flashlight. This means that even if a flashlight has high lumens, its power depends on how much it can light up an area, whether it can light long distances or just the nearby area. Most of the flashlights describe the number of lumens it produces in their product descriptions or packaging. Therefore, you must check these out first in order to buy one with the right number of lumens. The number of lumens in different flashlights varies. Basic ones have 10 lumens. On the other hand, rescue and high-end searchlights have more than 18,000 lumens. 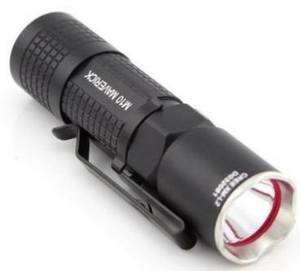 However, a standard everyday carry flashlight has 50 to 100 lumens. Thus, it is important to know what purpose you will use your EDC flashlight for, so that you can decide on the number of lumens you want in your flashlight. Below is a general idea of how many lumens you will require for specific purposes. Flashlights that have 1 to 20 lumens of brightness are ideal for day to day use. For example, they can be used to find your way in dark rooms. These lights are specifically for finding keyholes, reading maps, walking in the dark, etc. This high level of light does not damage the night vision. EDC flashlights with lumens in the range of 20 to 35 are for general use in the garage or house. These are enough to light up a room during a blackout. However, they cannot light up far away distances. Although this high power of light cannot blind an intruder, it can damage the night vision. Everyday carry flashlights that come with 35 to 100 lumens of brightness are ideal for general outdoor use. They can also be used in activities like hiking, camping, etc. These can illuminate up to a far distance. Flashlights that contain more than 100 lumens of light are suitable for small-scale actions serving for a larger purpose. These lights are generally used by security guards, firemen, and police. This much power of light is enough to cause temporary blindness to an intruder. Moreover, flashlights over 100 lumens can illuminate a large space, such as your backyard or camp site. 150 lumens of power output can cause temporary blindness at night and a power output of 300 lumens can cause temporary blindness in daylight in an enclosed area. EDC flashlights with more than 1,000 lumens of brightness are, particularly for search and rescue operations. Additionally, they are suitable for extreme outdoor applications and caving. These flashlights can illuminate several hundred feet of distance. It is recommended that you must buy an EDC flashlight that has at least 60 lumens of power output if you want to disorient an attacker. However, if you want to temporarily blind someone, you will require an everyday carry flashlight of at least 120 lumens. Being a top-of-the-line flashlight requires more than just shining brightly, which of course is a good thing. It needs to have some useful features, high durability, long battery life, compact design, and a powerful strike bezel. The J5 V1-PRO definitely excels in all of the areas mentioned above. It’s the kind of flashlight you want with you in survival situations, yet the same flashlight you want to carry around for everyday use. It’s a powerful, multi-use tool and the number one EDC flashlight of its kind. Considering the size and power source, 300 lumens of light is rather impressive. That’s enough to blast a beam of light straight over two football fields if the night is clear. Now, you probably won’t be running into such clear conditions outside, but it is possible. The J5 V1-Pro is able to power 300 lumens on high setting for a solid hour with only one battery. If you’re using this for EDC, then you probably won’t need to blast it at full power for such long periods of time. If that’s the case, then you can expect to get at least a few weeks of life out of the battery. Remember, it’s only using a single AA for all of this. There are a few different things you can adjust. Primarily, the strength of the light. There is a “low”, “strobe”, and “high” setting. You can also adjust the focus of the light using a zoom slide. This is a front lens bezel that can be rotated to tighten or widen the beam. The tail switch is used to control the light levels. The same switch that is used to turn the light on or off can change it between “high”, “low”, and “strobe”. 300 Lumens at max power. Zoom slide for adjusting beam focus. The customers absolutely love this flashlight. Not only is it a durable, multi-use light that works well in survival situations and for EDC, but it’s affordable as well. Its affordable price and light weight make it a great tool for any survival bag. One of the very few complaints about the product is that it cannot produce a very wide beam of light. Aside from this complaint, nearly every review for the product was entirely positive. For the most part, the width of the beam was sufficient for the majority of customers. It is a rather compact light and the zoom bezel provides a high degree of control over the light’s focus. In conclusion, the J5 V1-Pro is a low-cost, low-weight, high-durability flashlight. It can push 300 Lumens and send a beam of light across two football fields. There’s a tough striking bezel as well. It only takes one AA battery and this can last for quite a while. Overall, it’s a great addition to a survival bag and perfect for everyday use as well. While you don’t always get what you pay for in life, spending more money on a product is, generally, an indication of the kind of quality you will receive in return. That is the case with this Fenix EDC flashlight, as it is the most-expensive on our list, yet most buyers will agree that it is worth the investment. The Fenix doesn’t come cheap, but you do get plenty of great features. With a CREE LED capable of a whopping 1000 lumens on the highest setting, you can expect this light to put out an impressive beam. Also, that LED is rated for up to 50,000 hours of running time, meaning this is one EDC light that shouldn’t need to be replaced anytime soon. The flashlight can be run on two different power sources – either a single 18650 rechargeable battery or a couple of 3V CR123A lithium ones. Only 5.4’’ long, you should have no trouble finding plenty of places that you can store and carry this light. Most of the reviews have commented on the incredible power of this little light, with others noting the quality of the construction and the ability of the unit to stand up to contact with water. 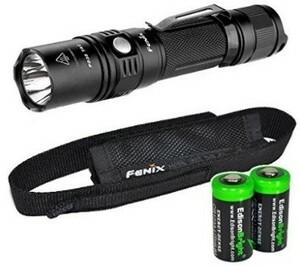 You are going to have to spend some money if you wish to choose the Fenix PD35 as your EDC light, but that investment will return you a quality unit. The UltraFire still includes plenty of high-end options for that price, including an adjustable focus, waterproof design, and steel body clip. Of course, you aren’t going to get the same lighting power as you get with the Fenix, as this light is capable of 300 lumens. This flashlight brings in plenty of great reviews from buyers. The brightness is considered to be more than acceptable by most owners, and they feel that this unit is well-suited for the duty of everyday use in most situations. For an affordable EDC option that is capable of meeting the demands of standard flashlight tasks, the UltraFire is a product that merits a closer look. If you are looking for an option that lands somewhere between the first two items, this EDC flashlight from Streamlight may be just what you need. It offers easy one-handed operation, has three modes, and the LED is rated for a 50,000-hour lifespan. Popularity is often a good way to gauge the success of a product. Buyers simply haven’t been able to find much to complain about when it comes to this unit, meaning there is a good chance you will be happy with your purchase. Compliments for this light include the value received for the cost of the product, the sturdy construction, and the brightness of the light itself. As is the case with most Streamlight products, you are likely to be happy with your purchase if you choose to go in this direction. This light from Helotex is a nice all-around option which is offered a fair price and contains all of the features you should need to get by on a daily basis. The light output is a solid 130 lumens, and the flashlight can run on either AA or CR123 batteries. With three modes to pick from – Hi, Low, and Strobe – you should be able to get exactly what you need each time you pull this light from your pocket. The main theme of many of the reviews for this product is the value. Most feel that this is a well-made light which would stand up favorably when compared to more expensive options on the market. 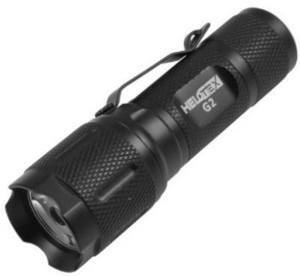 For a durable EDC light which offers quality beyond its price, check out the Helotex for yourself. It has an impressive 350 lumens will help you light up the darkest areas, and it can run on just a single CR123A battery. With a body design that is only 3.7’’ long, this model certainly meets the compact requirement for a good every day carry flashlight. Some say that it offers more of a ‘flood light’ effect rather than a spot light, so take that into consideration when deciding if the Olight Maverick LED flashlight will work as your EDC option. With this EDC flashlight buyer’s guide, you can make a firm decision easily, as well as quickly. So, there’s no need to fret in your search for the perfect light. However, you must note that the EDC flashlight that you choose depends on your intended purpose and whether you want to carry it with you daily. It is recommended that you have an everyday carry light with you at all times. Carrying an EDC flashlight around with you is not only useful in normal daily circumstances, but also extreme situations. Moreover, when you have the right everyday carry flashlight with you at all times, you will never get caught in the dark.